RIVERSIDE, Calif. (KABC) -- Riverside police arrested two people they say were involved in a drug operation that involved delivering narcotics by a drone. When officers raided the alleged drug house, they say they found narcotics scattered all around, including a vape pen containing marijuana found in the bedroom of a 9-year-old girl. The raid of the house was preceded by a surveillance operation that began when officers learned of individuals selling drugs using a drone. Officers say they saw a drone leave the back yard of a home in the 8700 block of Chesapeake Lane, fly to a nearby parking lot and drop a package of drugs to waiting customers. On Thursday, officers served a warrant on the home where the drone was seen. They say they found drugs throughout the home, in addition to used, uncapped needles scattered throughout a bedroom. They also say they found unpackaged powders believed to contain the drug fentanyl. They also say they found methamphetamine, candies laced with LSD and the drone. They also found a vape pen with marijuana in the bedroom of a 9-year-old girl living at the home. Protective Services was called in and eventually the child was released to her mother. 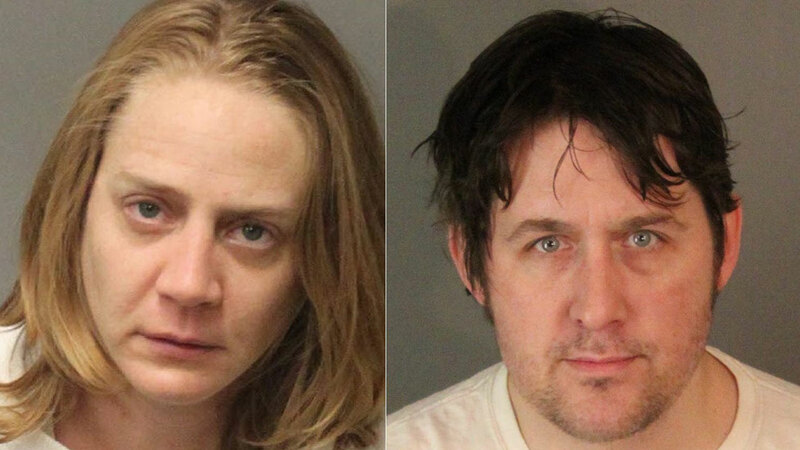 Police arrested two Riverside residents associated with the residence: Benjamin Baldassarre, 39, and Ashley Carroll, 31. They were booked for possession of controlled substances, possession of controlled substances for the purposes of sales, conspiracy to commit a crime, and child endangerment.